Classics never go out of style. 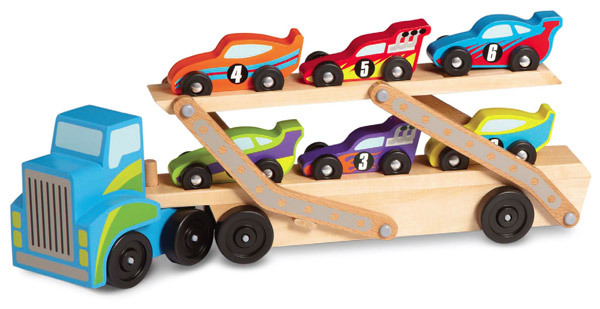 This hauler comes with six cars and unlimited play possibilities. When extended, the carrier is a whopping two-and-a-half feet long. Available at cooltoysfortots.ca and neighbourhoodtoystores.ca.